Home Machinery Is there a better route for the rotomoulding process to take? 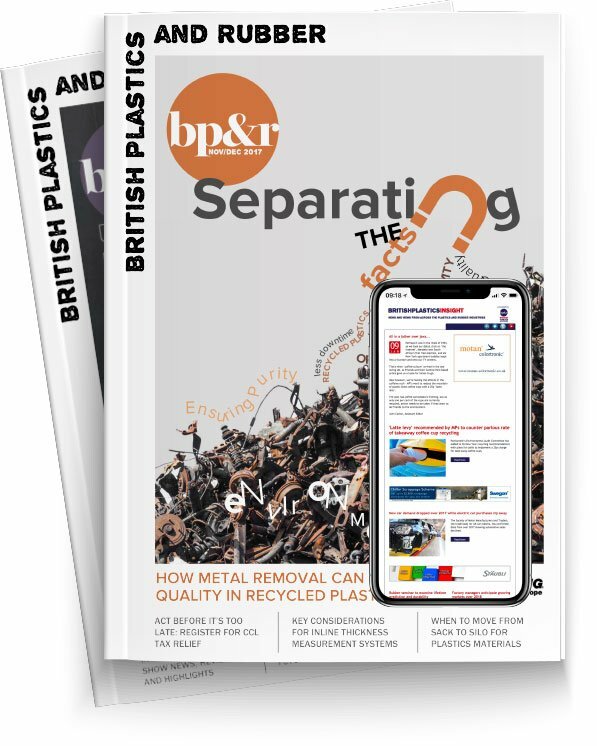 Dr Gareth McDowell, Managing Director of rotomoulding solutions provider, 493K Limited, writes for BP&R about the potential of the industry and illustrates how a combination of machines, materials and education is the key to future growth. Rotomoulders love polyethylene; it’s the backbone of their process and a major part of what makes rotomoulding such a versatile and flexible manufacturing process. Unfortunately, it also makes it such an easy process to do very badly indeed. The forgiving nature of polyethylene means it’s so easy to mould. Without much knowledge or control of the process it is remarkably straight forward to produce a part that can be sold, often despite that part’s poor quality. It’s offers a low investment manufacturing method that forgives most first-timers of their innocent blunders. The last 20 years have seen a slow improvement in rotomoulding technology, with only incremental improvements in some discrete areas within the process. Understandably, without the demand for high quality technical parts, it is easy to understand why rotomoulding has not matured into an advanced manufacturing process. Professor Roy Crawford posed the question, “Is it a fact that it [rotational moulding]is destined to be always the bridesmaid but never the bride?” [Rotation 1995 Vol4]. Perhaps the truth is that rotomoulding, in its current form, simply doesn’t need, or want, to get married. Of course, there have been isolated cases of exciting new technologies, flurries of greatness and some prestigious accolades collected, but more often than not they don’t hang around for long in the Manufacturing Hall of Fame…or if they do, then only in a small way. However, we know there is great potential; a few good moulders, driven by their customers or their own innate desire to be better, have proven that taking roto to the high echelons of manufacturing acumen is very much an attainable goal. Without looking too hard, rotomoulders can be spotted who can: mould new engineering polymers; mould with repeatable and consistent quality; mould multi-layer parts; mould more accurately dimensioned parts; and use novel and automated machinery. It’s all possible – for certainly these elite moulders prove it – but for a wider industry growth there must be a significant step-change to ensure that roto does well for itself. The attributes of an elite moulder seem to be: education and an understanding of the process; engineering resources to modify and improve the process; seeking measurable quality targets; the use of process control methods; and incentive (perhaps a demanding customer). The flexibility and low investment to entry of rotomoulding, seems to have attracted inventive, resourceful and self-reliant business owners, resulting in a diverse range of rotomoulding branches. This subway map lays out the most common linesthat rotomoulders can travel highlighting their comfort zones. It’s also serves as a map, showing possible escape routes out of an extended period of circling nowhere. The below outlines some of the zones you might identify as being in, where you might want to be and the consequences of ending up somewhere you shouldn’t be. This is fundamental rotomoulding using the open flame ‘Rock n’ Roll’ frames; straightforward, non-critical parts are manufactured here and usually based upon low cost models of labour, materials and moulds. Favourable markets and non-threatening competition make ‘Happy Life’ a good line for ‘Happy Town’. Certain mould shapes are best using Rock n’ Roll machines; their shape does not lend itself to full bi-axial motion due to wasted oven space and needed height! Kayaks are often made in these types of machines, often heated by, but not limited to, hot air burners rather than direct mould contact with open flames. This zone is perfect for independent people with a can-do attitude. Growing companies need large flexible, ‘takes any mould shape’ oven: of course, the conventional Bi-axial Oven platform. Fast turnaround to expansion and the ‘go-to’ machine for those with enthusiasm for high volume moulding. This line can take the moulder to various stops and so is often regarded as the most versatile platform to start from…but beware it does come with a higher ticket cost than those for the ‘Rock n’ Roll’ stops. With high rewards comes high risks. Often suppling into the automotive industry these rotomoulders are swimming with sharks. It requires a watchful eye on detail; all certificates, quality assurances and lab tests must be ready for scrutiny. These are the moulders who focus on their business, never travel on the Independent line but call the experts when needed – too much is at risk here. For those who like a ‘Technically Challenging’ destination, it’s possible to arrive here via any line. Unconstrained by industry standards, these moulders will push the boundaries! High flyers can take the air-transferto the automated ‘Kudos’ zone. However, take care to avoid falling asleep on this train... it’s a non-stop service and it costs to get off. If you’ve arrived here with limited technology, education and finance then it’s a non-stop service to ‘Crash and Burn’. Know the limitations of your plant, keep within those boundaries and know when to move on. A promotion from ‘High Tech’ into an automated ‘Kudos’, with shiny new high-tech equipment, needs investment. Leaving behind much of conventional rotomoulding it is an unexplored territory. Reached by an expensive air-shuttle, it’s not an easy place to return from. This is where the rotomoulder’s ticket to the world gets punched, a free pass: it is where people are used in the process to apply science, knowledge and understanding. Replacing the black-art it dispels the shop floor myths. The best way to attract people into the rotomoulding industry must be via the ‘Education’ line. There is much left to complete in this model, but it’s a start. The key point to understand is that for full mobility within rotomoulding one must start with education, before heading off on any kind of high-tech journey. There is no one missing link to a faster rotomoulding growth, but rather it is the measured facilitation of machines, materials and education. Dr Gareth McDowell is Managing Director of 493K Limited. The company has been providing solutions for the rotational moulding industry since 2003, helping to reduce scrap rates, improve part quality and increase profits for their customers.